Change can be scary! It can be very scary. It can be hard and demanding. It can hurt. It can hurt a lot. It is difficult to sustain, to make permanent. New Year’s Resolutions underscore that fact year after year after demoralizing year. 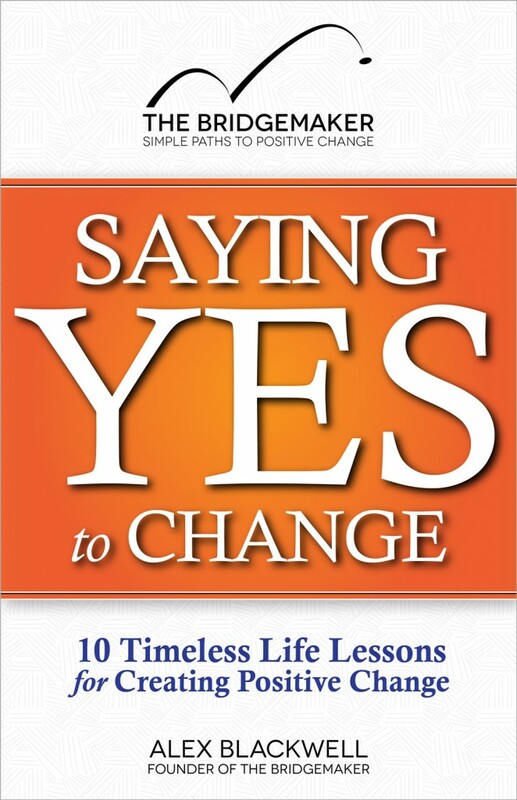 Alex Blackwell has added importantly to the pantheon of self-improvement, personal-growth literature with his new eBook, Saying Yes to Change. He skillfully walks us through the process of taking back our happiness, no matter the challenges we face, the insecurities we start with, the fears or self-esteem issues we have to break through, the mental and emotional traps that keep us from walking the path to an extraordinary life. These experiences taught him to distance himself from his insecurities, compelled to excel, to be perfect, to work and work and work until he proved he was not that little scared and lonely boy on the playground. Then, with a marriage in tatters, separated, his life on the edge of collapse, depressed, friendless, his children all but estranged, he attended a seminar that changed his life. Alex is now happy, self-assured, with a thriving family life. But how did it happen? Saying Yes to Change delivers that answer with eloquence and love, passion and compassion, heart and soul. The book is organized around 10 life lessons he learned on his journey. The lessons are worth learning. This book review is likewise organized around those life lessons as an introduction to Saying Yes to Change. Lesson One takes us to the starting line of change, perhaps even to the conditioning that precedes the starting line. Lesson One: Prepare the soul for change. So how do we make those changes? How do we get through the darkness of depression and low self-confidence to the other side of happiness? So much of our difficulty in changing is due to our habitual ways of thinking. Alex shares better ways of thinking to experience a better way of living, including getting away from the trap of all-or-nothing thinking, over-generalizing and the counter-productive poison of pessimism. Lesson two takes us to the next step, helping us past the internal obstacles to growth and acceptance and love and happiness. Lesson Two: Find freedom from pain. I was pleased to find that Alex doesn’t completely subscribe to the idea that “What doesn’t kill you will only make you stronger.” Life’s trials and tribulations are neutral. They don’t make us stronger or weaker, necessarily. Saying Yes to Change then walks us through a very doable and profoundly compassionate process for coming to terms with the pain in our pasts. Alex has experienced the deep and persistent pain he wants to walk us through. And going through it, experiencing the pain, feeling it, is a necessary step in that process. At one point in his life, Alex felt abandoned by God, angry that he wasn’t removing the pain. But he came to realize that to remove the pain immediately upon the asking, was to avoid recognizing the negative patterns of thought within him. This is emblematic of the lessons Alex has learned as he’s worked on himself. His voice is as clear as his thinking. He makes personal development a heart-felt path to invite others to join in the process of self-discovery, self-acceptance which leads to self-awakening. Each subsequent lesson takes us ever deeper into a life of meaning and purpose, an extraordinary life of acceptance and self-love, of being who we truly are, filled with happiness. Read on for a glimpse into the remaining Life Lessons of an extraordinary book. This is sound counsel. Alex presents his ideas in words that are both deep and deeply caring. He lifts and inspires, teaches and shares his experiences to illustrate the process as he underwent that process himself. We can choose. We can decide what we will accept in our lives. We are the masters of our destiny. We can construct a life of our choosing. Saying Yes to Change reminds us that we are beautiful that “beauty doesn’t equal perfection” that the pain of our pasts no longer have to define our present or futures, that we can find our inner beauty and that our inner beauty can be reflected in our physical beauty as well. Legal documents often have asterisks (click here for another awesome way to look at asterisks) to identify the parts that have conditions and disclaimers. Our lives also often have asterisks, conditions and disclaimers. But that’s a limiting way to live life. “Life contracts contain no asterisks,” he writes. “The only conditions that exist in our lives are the ones we create ourselves.” And so to live life to its fullest, we need to stop creating those conditions and exceptions. We are reminded that love takes center stage. But to be able to love others, we must also be able to love ourselves. I personally loved this part of the book. 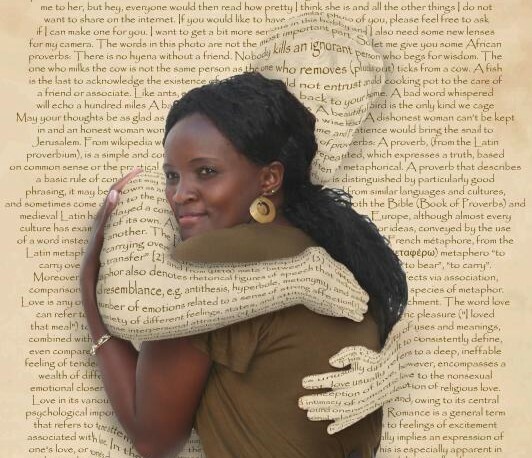 Alex explains that love, real love, true love is not the selfish kind of love that seeks to own and control, dominated by jealousy and insecurity. It’s not the tingling emotion that descends upon us unaware either. Love is a choice. It’s seeing what’s best in the object of our love. But we’re also reminded to be patient, that love takes time and effort. “Good creates good” is how Alex starts us thinking about Lesson Seven. Too many people are so buried under their own skin that the overwhelming majority of their thoughts are about themselves. The secret is to live a life or service, making a difference in the world, starting wherever we’re at and reaching as far as circumstances allow. It is at the heart of that challenge that we learn and grow and get up and reevaluate and move forward or we don’t. The failure itself does little. 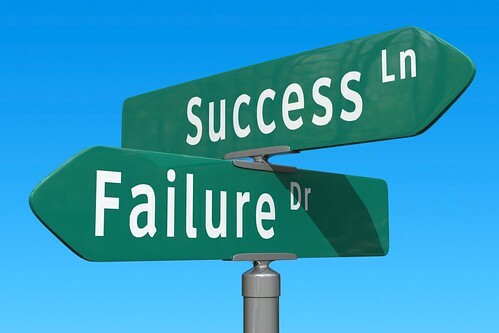 The lessons we are open to learning from our failures makes a lifetime of difference. So often we want to quit, to throw in the towel, to go home, tail between our legs, to lie down, lick our wounds and hope the sun will wash away the pain in the morning. Alex warns us of living a life filled with regrets. Giving up on life is not an option. Alex has a deep faith in God and the plan He has for each of us. He also has faith in humanity. He has faith in his ability to keep learning, to keep growing, to step beyond a life of fear and pain and into a life that is extraordinary. He invites us all to come along. We’re left with the sneaking suspicion that change is, indeed, not only possible, but probable, that it certainly is in our own hands, that life can be an amazing adventure. It is difficult to write a review of a book packed so solid with profound insight into the process of change. It is tempting to go on, in detail, reviewing deeper and deeper, uncovering and sharing with you ever more pearls of wisdom. But at some point, a reviewer has to stop writing and let the reader pick up the book and start reading. So that’s what I’ll do here. Please share your thoughts below and share this review with others using your favorite social media! For two other options, click here or, if you still need convincing, here. If you haven’t subscribed to get my free eBook, A Walk Through Happiness, click on over and sign up! Good post. There’s lots of good information here, though I did want to let you know something – I am operating Windows 7 with the latest beta of Internet explorer, and the design of your blog is kind of bizarre for me. It’s possible to understand the articles or blog posts, however the navigation doesn’t function so good. Johnnie Higgins recently posted … What Are Tarot Card Readings? Thanks for the heads up, Johnnie! Could you be so kind as to let me know what aspects of the design are not working or where you’re not able to navigate? I would better know what to look into. The world would be so different if more people practiced happiness or at least realized happiness is a choice that is always available. Experiencing happiness is often a matter of embracing change. What a great idea, ten life lessons designed to make change happen. Thanks for the heads up on the book and for a ‘happy place’ to come. I’ll be back and will definitely spread the word. There are untold millions of people who suffer so needlessly in the long term because they simply don’t know or believe or refuse to act upon the principles of happiness. So yes, as you say, the world would indeed be a different place. I was truly impressed by Alex’s thinking/writing. And while I may not agree with every word or concept (don’t think there’s many books on the planet I would completely agree with), there is such value in it. I’m better for having read it. Curious: What’s the nature of your newsletter? Thanks for asking. I send out a monthly newsletter with an article, book reviews and a list of some of my upcoming events. I guess I was wondering if it was religious, personal development oriented, business or personal. It is about personal development. I can be slow on the uptake when it comes to promotion. If you go to my home page http://SusanGregg.com you can sign up for my newsletter and get my free ebook 7 Steps to a Joyous Life. The sign up form is in the side bar toward the bottom of the page. Haha! I have to admit to not being especially clear and direct though. Just signed up! Look forward to reading your thoughts! Thanks Ken, this sounds like a good book. Saying yes to change is definately an important thing, because if we don’t create our own changes then changes will happen anyway but not necessarily the ones we want. I have read books I liked but wouldn’t necessarily recommend. I would recommend this one. I like how you said that: “if we don’t create our own changes then changes will happen anyway but not necessarily the ones we want.” So true! Preemptive change is always more comfortable than circumstantially forced changes. All around us is in a constant state of flux. To try to live a stagnant life is to try to do the impossible. Thanks for the insightful comment, Ben. Truly appreciated. Yeah, I’ve seen “Saying Yes to Change” all over the place. He has a bunch of people who love what he does, for sure. I had the pleasure of reviewing this book and interviewing Alex last week. Very well done, Ken. 🙂 (as always!) Hugs! Hi Vidya! Thanks for the kind words! (You better be careful, I’m becoming emotionally dependent on your kind words! :)). I just hope some people click on the links and buy. I loved the read and think it would serve many, many people to pick it up and make a serious read of it. Good stuff worth the time and few dollars to read it. Hi Ken! What a great Blog. I’ve just shared it in my social networks. I particularly like your poing: “Live beyond your skin”, that is, start contributing to other’s wellbeing. For a long time I’ve been telling myself I “should do” more of this. Knowing this is the way, but finding it difficult, if not impossible at times. Eventually I have realised this becomes much easier once my own needs have been met. Once I am happy with myself and my life, and there is nothing missing, it’s just so easy to give to others. And so incredibly rewarding! Why thank you, Marien! So glad you find value here. That means a lot to me. Therein lies the great paradox, of sorts. On the one hand, we give more readily when we feel good. This has been born out by studies demonstrating that those who are happy volunteer more and give more to charity as well. But on the other hand, we know that serving others adds meaning to life and purpose to living and happiness to the heart when we lift others up. So the thing that can do so much to lift us is the thing we don;t want to do when we most need it! I think it’s the foot-out-the-door principle. If we can just get ourselves to take action, laying the first step toward doing something for someone else, the step lead to another which builds momentum and by the time we’re done serving, we feel so much better about ourselves and out situation. So glad there are people like you out there, Marien. Thank you so much for sharing your thoughts here! The point I’m trying to make is that there’ll be times when we just don’t feel like giving. And that’s fine. There’s no need to blame ourselves for that. Maybe then it’s time to ask ourselves what we are missing in our own lives, and tackle it. You’re absolutely right, Marien. We can serve other best when we’ve been fed — literally and fed in deeper ways as well. We all need down time, time to ourselves and time for ourselves. Such so-called “sharpening of the saw” or rejuvenation is so important. Thanks for making such an important point, Marien. Wow, that was an indepth explaination of the book. What I find with change is that before you can say yes to it you need to want it. I mean really want it. So often I have I would like to change, however I have not taken the action to do so. It took the impact from an external force to make me take action and make the change. You make a great point, Ryan. I can’t get passionate about something others want me to do. If I don’t feel the bite of desire, there’s just not the necessary drive to see it through. It competes with too many other things I AM passionate about. What Alex seems to have discovered was that the desire to get away from something bad can sometimes be just as big a motivator as the desire to get at something good. Sometimes the passion comes after some pretty difficult circumstances creates that desire that wasn’t there before. Like the old saying goes. Ryan recently posted … Discovering the Benefits of Meditation. Sad sometime, but true. We so resist change. And life certainly does have a way of shaking us loose to get us moving again. Great point, Ryan! You know, I’ve never thought of it this way. I’m referring to the part about the asterisks. So many people limit their lives and relationships by these restrictions. I really don’t know why, when they themselves have laid down the barriers. Happiness is, among other things, a choice we make ourselves. If we could only realise this many people would be so much happier. I’m not sure why I linked up my relationship blog here. I’ll have to undo this and link my confidence blog the next time I pop by. The first time I came across the use of asterisks as a metaphor for something in the personal development genre, it was at Dave Ursillo’s blog (Click over and check it out. I think you’ll like the read!). I thought in was profound then and find Alex’s different use of the asterisk equally profound. Here, I ask you a question so you can reply and link to your confidence blog this time (haha! ): So, did you click over and read Dave’s post about the asterisk? What did you think? Here, I ask you a question so you can reply and link to your confidence blog this time (haha! ): So, did you click over and read Dave’s post about the asterisk? What did you think? Smart move. 🙂 Ken, I tried clicking but got 404’d! That book seems to be such a useful one! I think I1m going to purchase it for that affordable price! Thanks for this nice review! It makes a difference when we believe we have the power to change the conditions we find ourselves in now. The lack of that belief breeds apathy and inertia. But the belief things can be changed and that we are the agents of our own change breeds confidence and direction and commitment and drive. We cannot rewrite our beginnings. But we can most certainly write a new ending. We are in complete control, and it’s perfectly allright if it seems a bit much. We’ll just have to chip away marble till the David appears. If success as a human is a journey, the experience of it starts the moment we start. Like a drop of water making it for the ocean. A small creek, a mighty river. It only a question of gravity and some time. It will work, it has no choice. Relax into it, and obey gravity: Keep a mild focus and work every day a little fearless bit more than yesterday. I really enjoy the treads in this blog. Oh, the posts, too, naturally. But what I like best is the care in the exchanges. This stuff has to reach more people. I can do that. Count me in as one of the team. Thank you so much, my friend. That means a lot to me. My hope is that I can reach an ever expanding group of people. And I welcome you among those who help spread the ideas I write about!